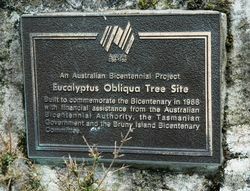 A monument with two bronze plaques commemorates the collection of the first specimens of Eucalyptus Obliqua by David Nelson, botanist aboard Captain Cook`s ship which visited Adventure Bay in 1777. 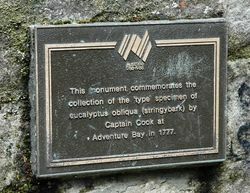 This monument commemorates the collection of the `type` specimen of Eucalyptus obliqua (stringybark) by Captain Cook at Adventure Bay in 1777. 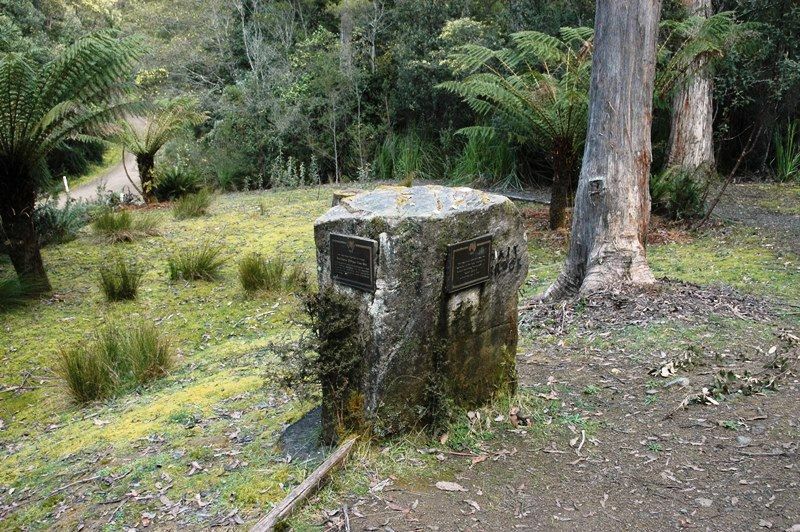 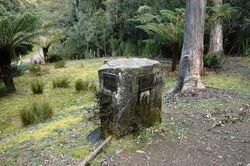 Built to commemorate the bicentenary in 1988 with financial assistance from the Australian Bicenntenial Authority, the Tasmanian Government and the Bruny Island Bicentenary Committee.